Some moms and dads put their parenting skills on hold when they get behind the wheel, engaging in risky driving behaviors, a new survey suggests. 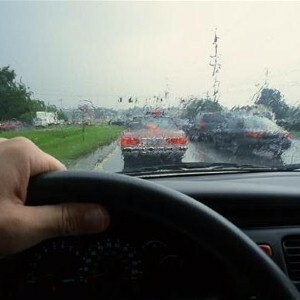 A poll conducted by State Farm found that many fathers and mothers who preach responsible driving may not be setting the best example. For example, although 94 percent of respondents said they do not allow their teenagers to talk on cell phones while driving, 65 percent admitted that they occasionally do so. And around two-thirds said they sometimes drive while tired. Last year, a State Farm poll of teenage drivers revealed that nine out of ten youngsters see their peers using phones behind the wheel and three-quarters have noted tired driving. "We are asking parents to be aware that their teens are watching and learning from their behaviors," commented Laurette Stiles, vice president of strategic resources for State Farm. The study also suggests that many adults are eager for more parenting advice to help their child become a better driver. According to the Department of Motor Vehicles, the accident rate is higher among 16 to 19-year-olds than for any other age group.